Runner’s World – December Issue, Page 80! [Hi all. I just wanted you to know that I am taking a break until after the holidays. If anything seems insignificant in light of Friday’s events in Newtown, it is these websites. (Best Race Signs and Best Race Costumes have posts scheduled weeks in advance so those will continue.) I’m going to spend some serious time unplugged, focusing on family and friends, an active body, and a quiet mind. Be well. Happy holidays. I’ll be back soon]. I will always be able to say I knew you when! Great recognition! Have a great break friend! Happy Holidays to you and your family! God bless! Have a wonderful holiday. This season I’m thankful for you bringing us so much delight (and for turning me into a morning person). Happy Holidays Jill, enjoy your break. Happy Holidays Jill! See you in January! Have a great Christmas 🙂 See you in the new year! Congrats! Enjoy your time disconnecting and reconnecting. Your posts always make me smile and bring a moment of joy and relief in what could otherwise be a very heavy and sad world. God bless, and Merry Christmas. You rock! And I’m proud to be part of it. Is there a badge I can put on my site? 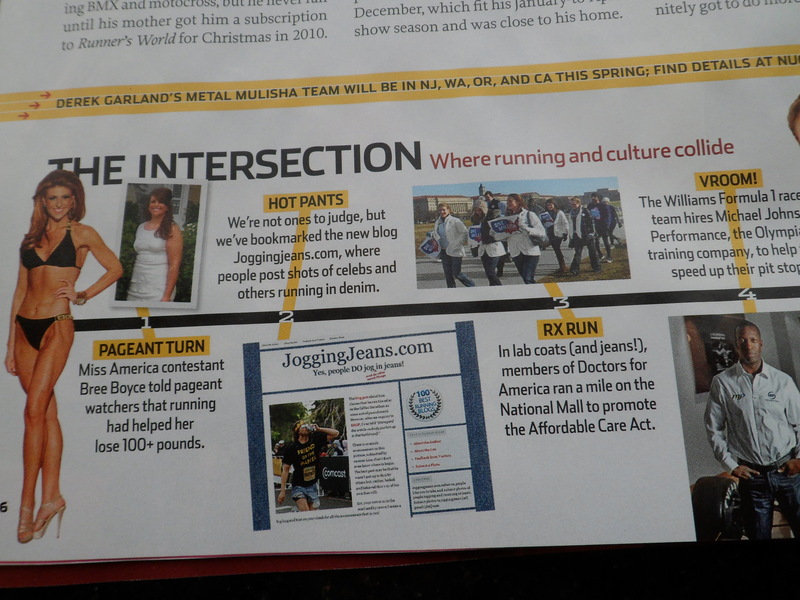 (I was featured on Running in Jeans??) You should totally make one – a denim back pocket or something! 🙂 Of course clicking it would link back to your site! PS – I now remember that I was in the “middle” – should I say “beginning” of the jean running streak on that (this) day.. and I had been so deflated I lost all motivation. I don’t think running in jeans in the winter is a good idea anyway.. BUT. I am with you. Nothing seemed significant for a while after that day. Hope you had happy holidays! How gratifying. Did you get a bump up in site visits?